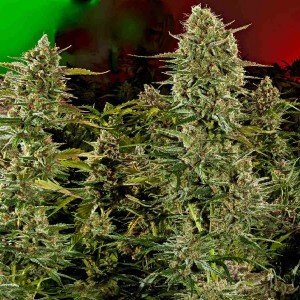 How many pounds per light are you getting from your marijuana garden? Michael Straumietis, founder of hydroponics nutrients company Advanced Nutrients and a long-time cannabis grower and researcher, says you can grow 3+ pounds per light! Straumietis is so serious about helping you increase your yields and fix any grow op problems you might have that he created a special grower education website just for you. In this first article of a two-part exclusive series, Straumietis gives insider details so you too can get three pounds or more of dried marijuana buds per 1000-watt light. Use highest-quality bulbs and reflectors. Light movers are very useful to increase overall penetration. Coverage area for a 1000-watt HID light is approximately 16-21 square feet. “Make sure your walls are highly reflective so all the light gets bounced back to your plants,” Straumietis says. C02: Add C02 to achieve 1200 parts per million (ppm) carbon dioxide levels in your grow room starting midway through grow phase to end of bloom phase during lights-on cycle. Read this article for safety tips about using C02 in your marijuana grow room. Deep water culture, aeroponics, NFT are the most productive systems for growing cannabis. Rockwool, coco coir, soilless mix are next best. Always use aerated, chilled reverse osmosis water (water temperature 68F). Use insulated nutrients reservoir. Keep light out of reservoir to prevent algae. Sealed grow room preferable. At least 1-2 aeration fans per 1000-watt light to create visible breeze in canopy at all times. Use scrubbers, silencers. Lights-on temperatures without C02: 74F. Lights-on temperatures with C02: 84F. Relative humidity: No more than 62% grow phase. No more than 58% bloom phase. Use Ideal Air brand dehumidifier. Use high-yielding marijuana strains. These will have at least 20-30% Indica genetics. Feminized cannabis seeds produce lower yields. Grow from unfeminized marijuana seeds or from proven clones grown from unfeminized marijuana seeds. 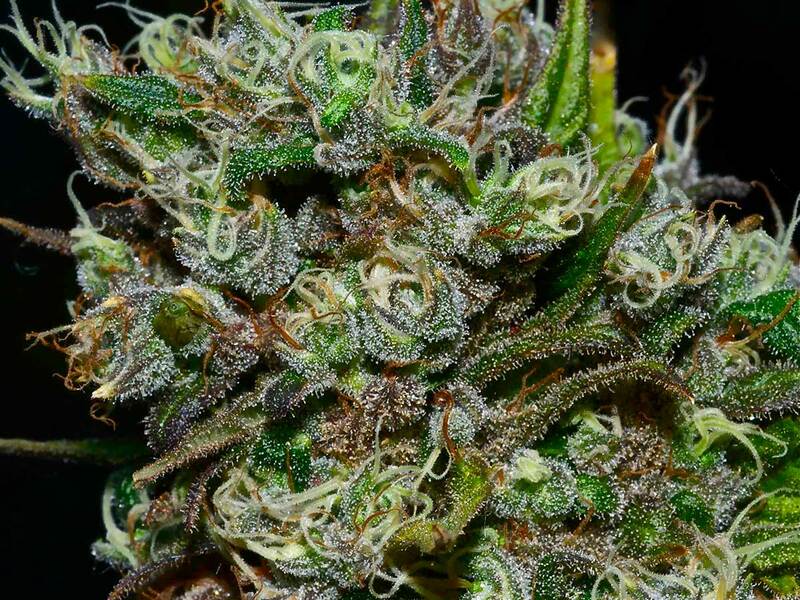 Read here to see a list of high-yielding marijuana strains. Top your plants at least once during grow phase, at least 1-2 weeks before flipping plants into bloom. Use SCROG, stakes, or plant cages to support heavy buds. Keep plants from touching each other if possible. Rotate plants if possible to give them full exposure to your lighting. Advanced Nutrients pH Perfect Sensi, Coco, or Connoisseur base nutrients grow phase and bloom phase. Bloom phase supplements in order of use (see label instructions or contact Advanced Nutrients grower support): Bud Ignitor. Bud Candy. Big Bud. B-52. Nirvana. SensiZym. Bud Factor X. Rhino Skin. Overdrive. Use Piranha, Tarantula, Voodoo Juice beneficial microbes throughout grow phase and until peak bloom phase. After plants are established as seedlings or clones, start with a 600-700 ppm feed program and go up to 1200 ppm during grow phase while checking for overfeeding by monitoring runoff ppm. When grow phase runoff ppm goes above 1900 ppm and/or if plants are showing leaf-tip burn (a sign of overfeeding), do a one-day flush. During bloom phase, switch to bloom phase hydroponics base nutrients and supplement nutrients starting at 600 ppm, increasing to 950-1500 when flowers are set, and depending on how your marijuana plants handle it. When runoff ppm goes over 1800 ppm, do a one-cycle flush. A week before harvest, use only Flawless Finish and reverse osmosis water for a one-week flush. Giving Marijuana to Pets: Is It Ever the Right Thing To Do?